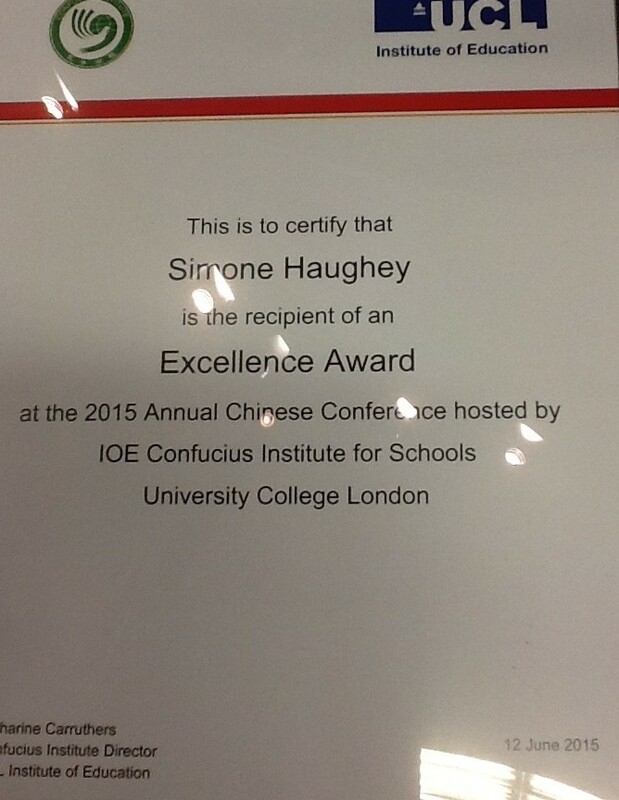 It was great to be part of the UCL IOE CI Chinese Conference. 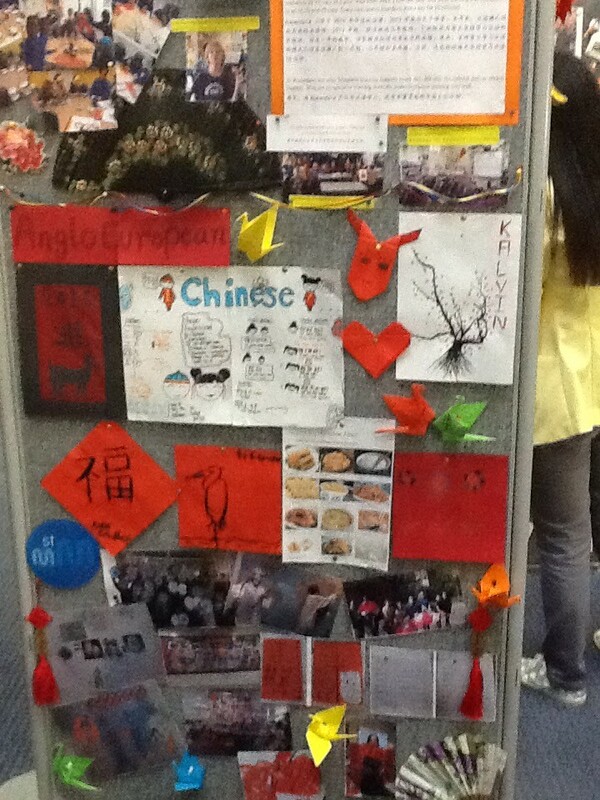 The exhibition of the Confucius Classrooms students and teachers hard work was impressive and looked beautiful after the hard work of the Hanban teachers. 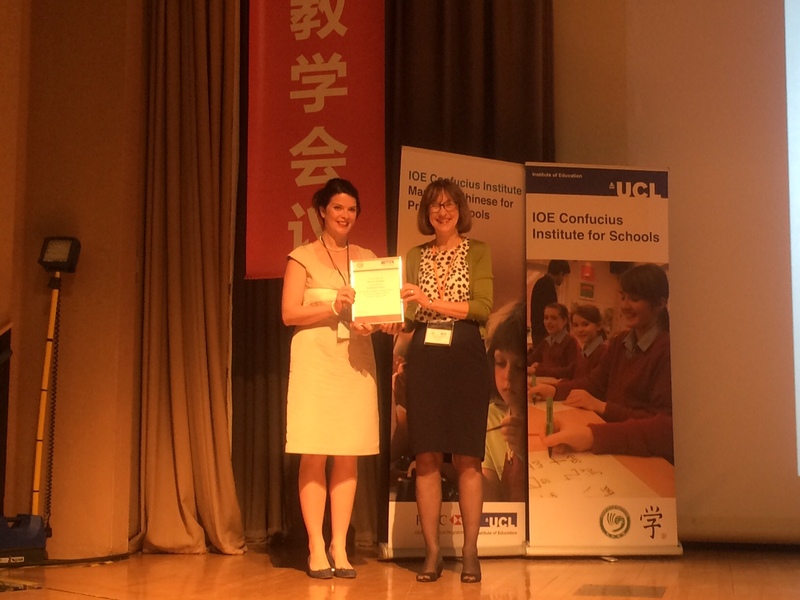 Katharine Carruthers, Minister Counsellor Shen, Dame Nicola Brewer and Professor Chris Husbands started the Conference with encouraging words about the growth, interest and promotion of Mandarin in the UK. 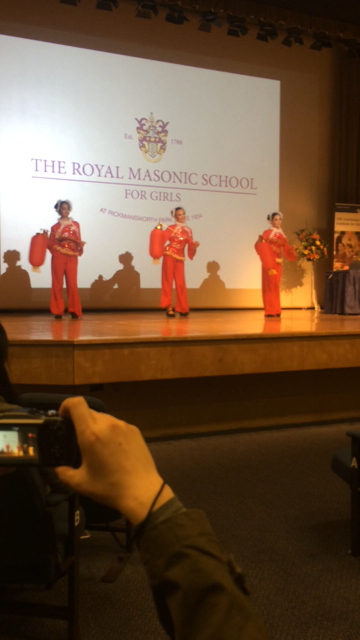 This year saw some wonderful performances from students. The level of Mandarin was amazing.Katherine Carruthers introduces Clement Marshall from Alexandra Park School – winner of speaking competition – amazing! The student from Archbishop Sentamu Academy spoke eloquently and inspiringly in English and Mandarin about his love of all things Chinese and learning Mandarin. Mission Grove Primary students had some great Mandarin conversations and funny too! 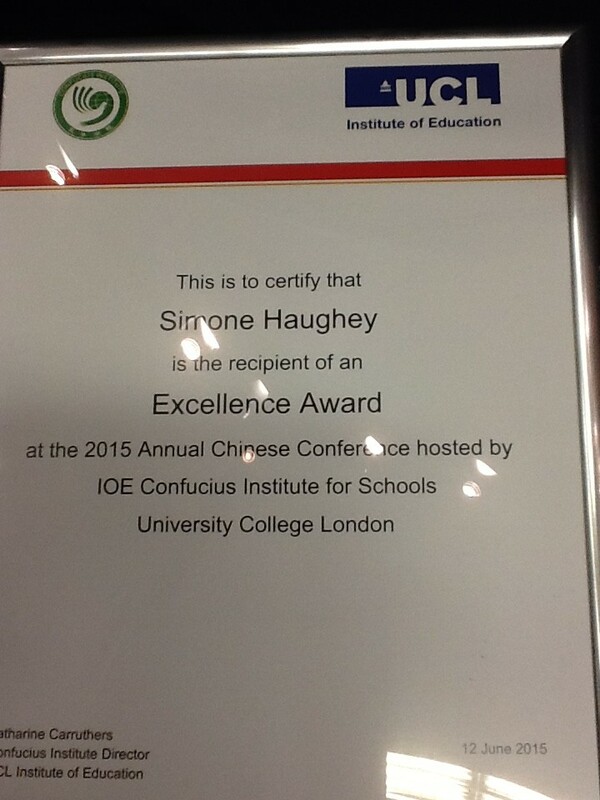 I received an Excellence Award, along with four other wonderful teachers. I was very honoured and it was amazing to be recognised for doing a job that I love. 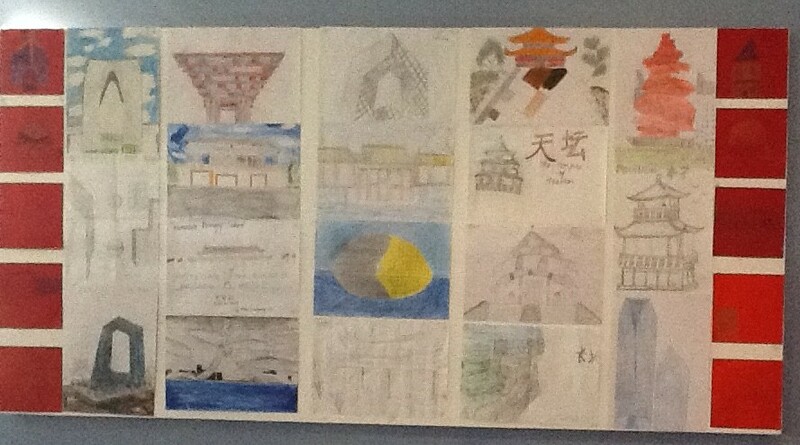 I attended the workshop of Natalie Syers and Alex Seigal, who shared great ideas for organising school trips to China. 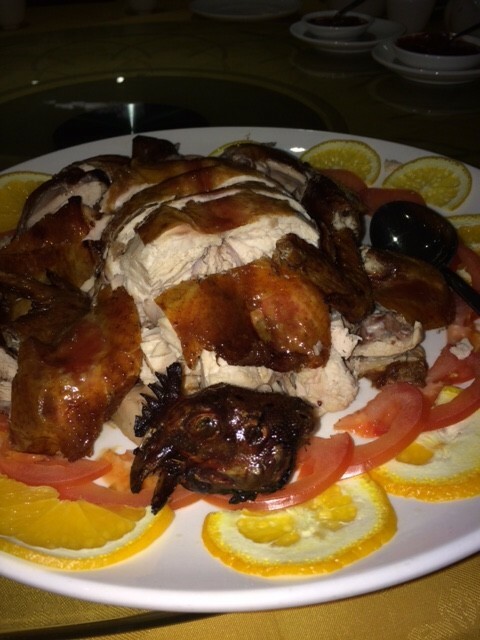 The ideas covered made me believe that it could be possible even in our primary school. I have approached the subject with my executive head teachers and aim to get the ball rolling as soon as possible. An excellent timeline of tasks to complete was shared and I will use this as part of my plan. I also attended Aurelie Sanner and Chris Webster workshop on using target language in the MFL lessons. They had fabulous ways to use target language in the classroom. 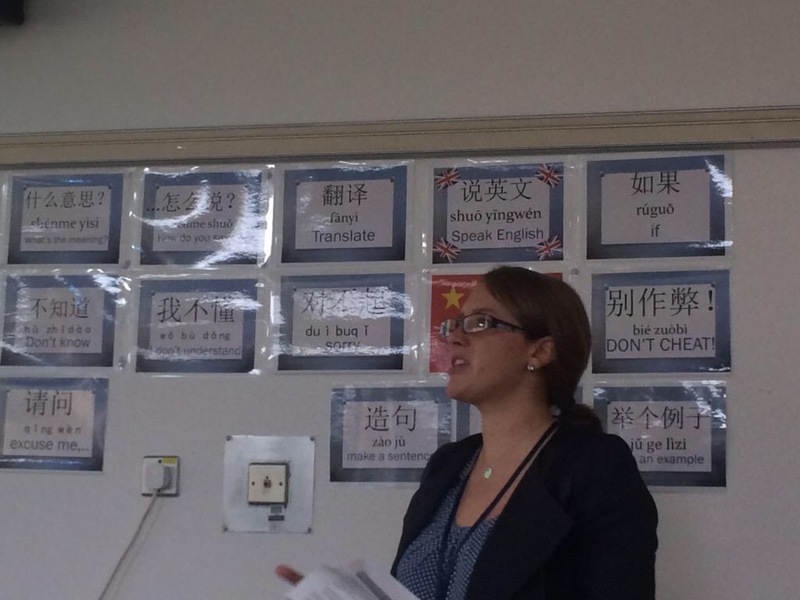 Aurelie recommended displaying the target language for the students to refer to during the lesson. 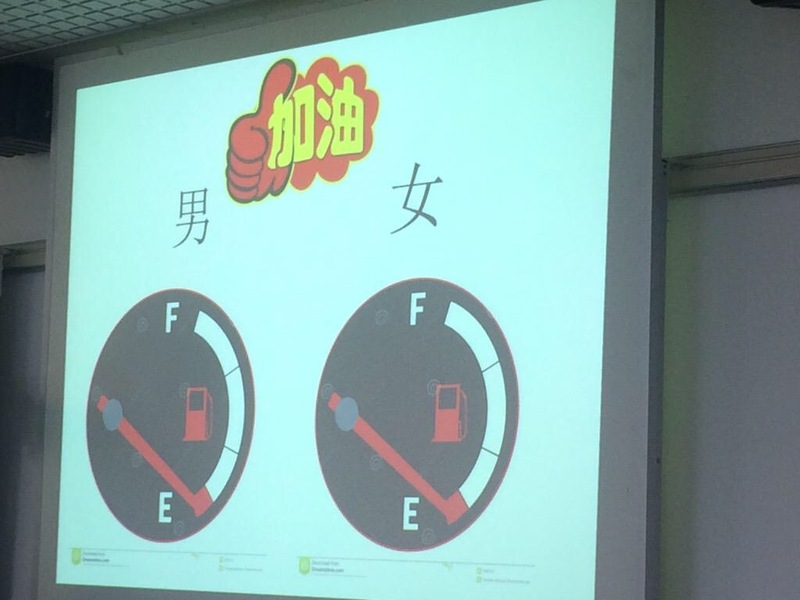 Chris suggested 好不好 Hao bu hao name lists on the board, for good work or even behaviour. 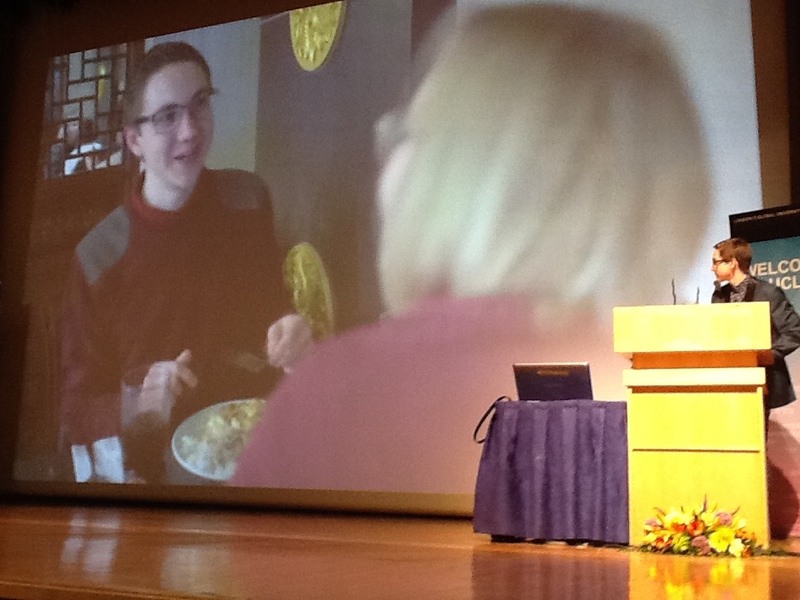 Colin Christie later explained the routes into teaching in the plenary session.